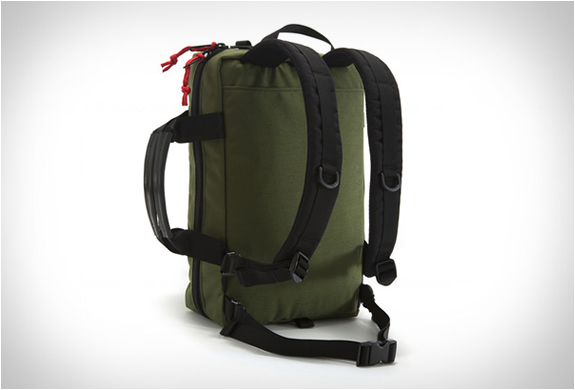 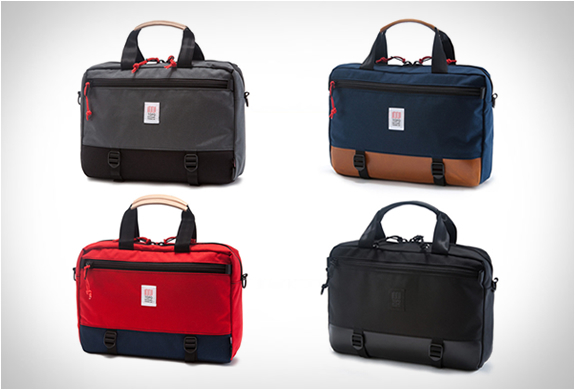 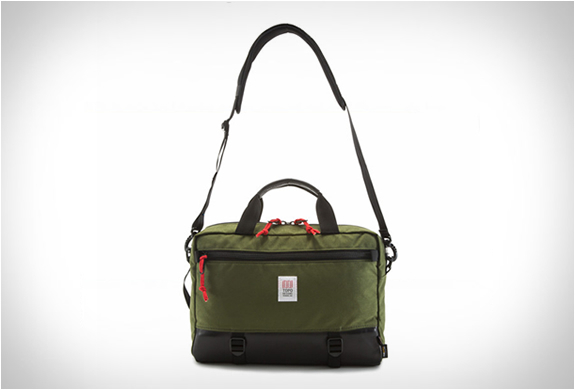 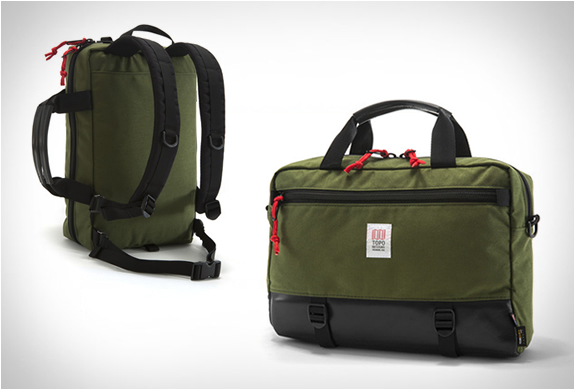 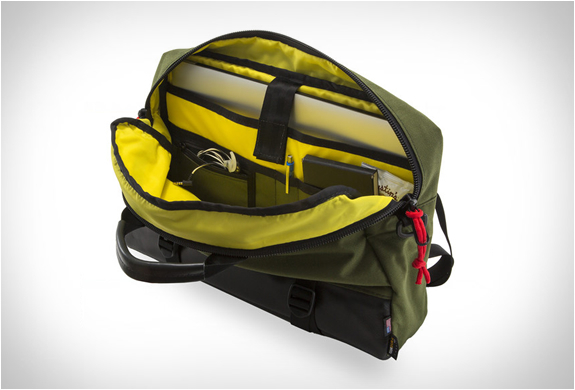 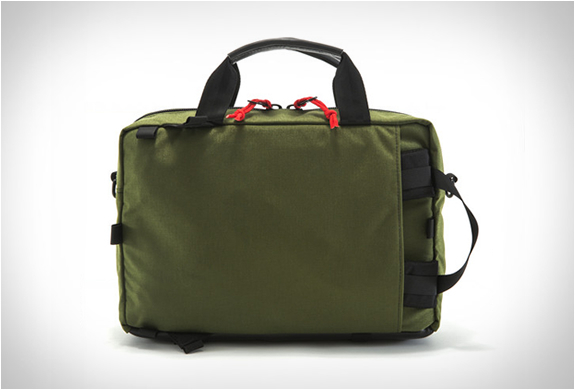 We´re loving this Commuter Briefcase by Topo Designs, a versatile bag for your everyday carry. 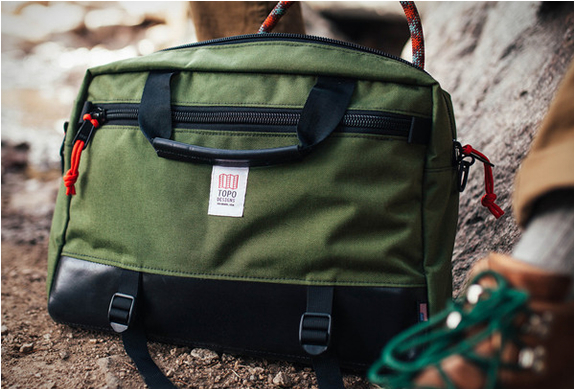 Available in several colors, the bag lets you choose between three carrying styles, as a backpack (includes stowable backpack straps), and as a messenger bag (includes a detachable shoulder strap) and as a briefcase thanks to the two leather carry handles. 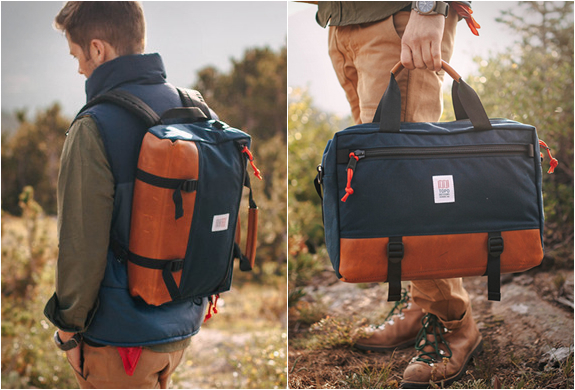 Built with Topo´s trademark durable 1000D CORDURA exterior and with a Horween leather base, the bag features a internal sleeve that fits most 15” laptops.